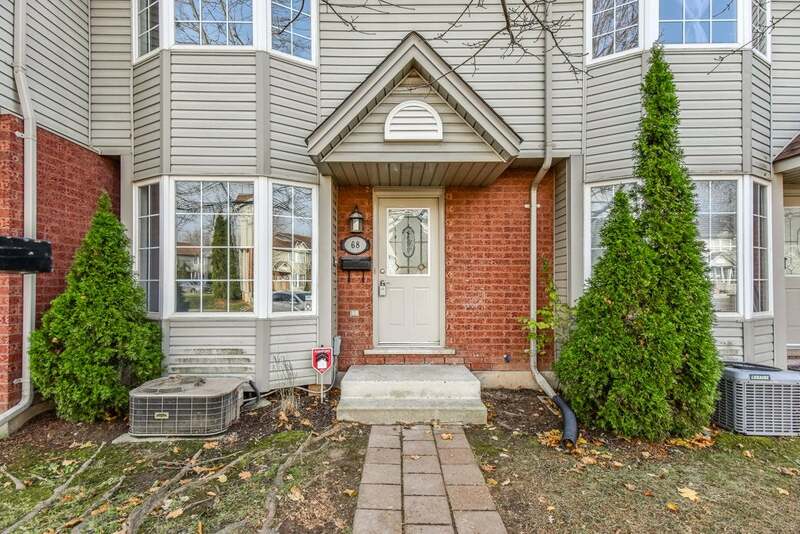 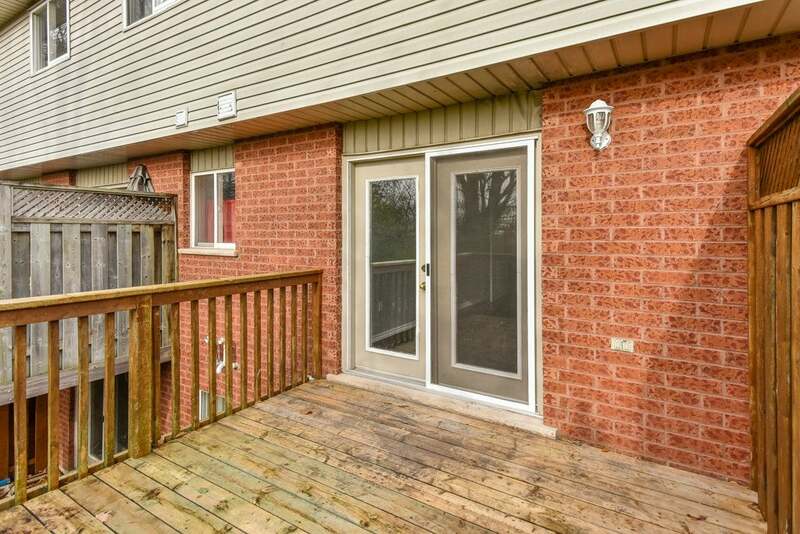 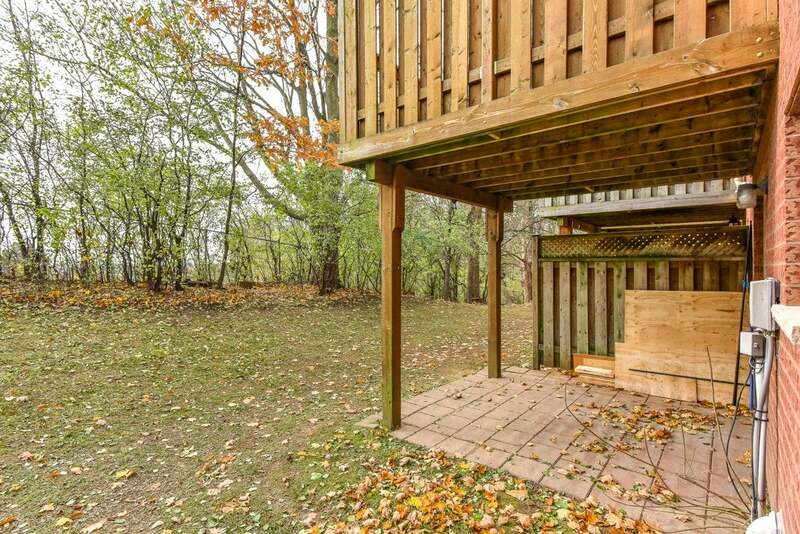 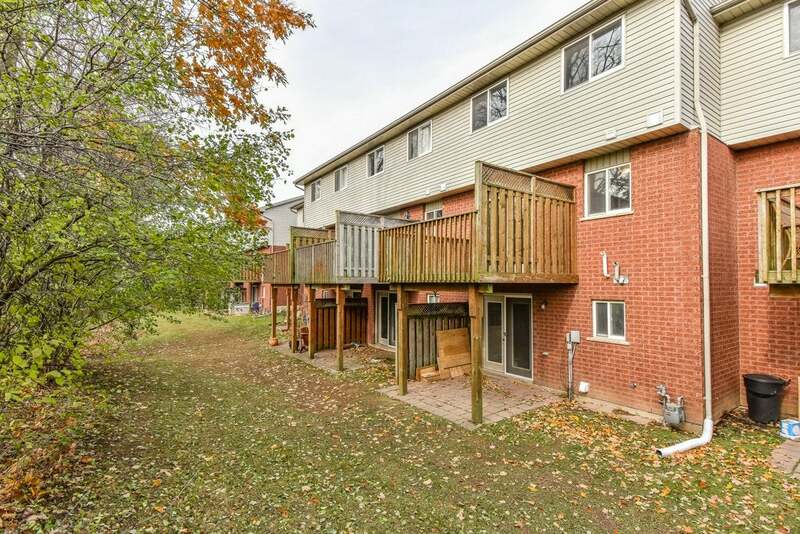 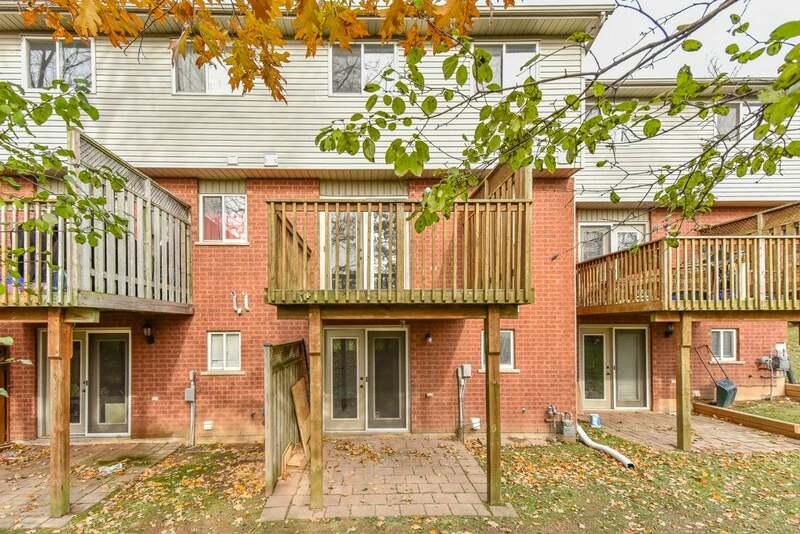 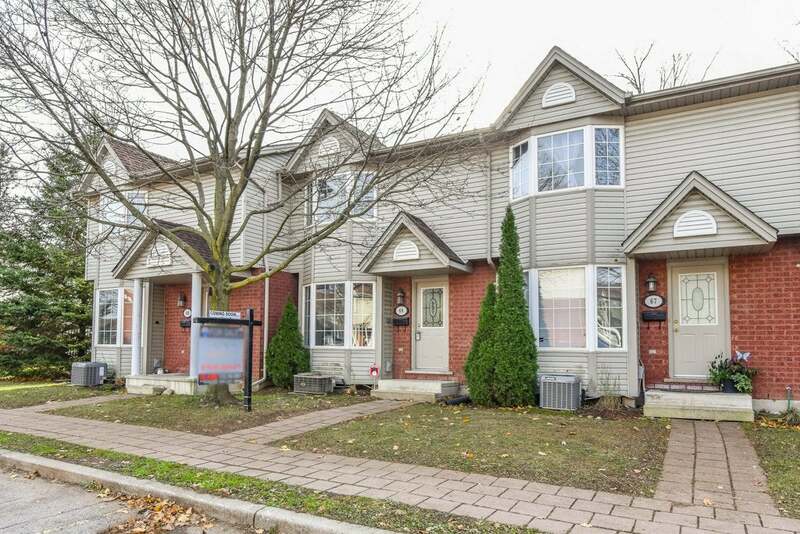 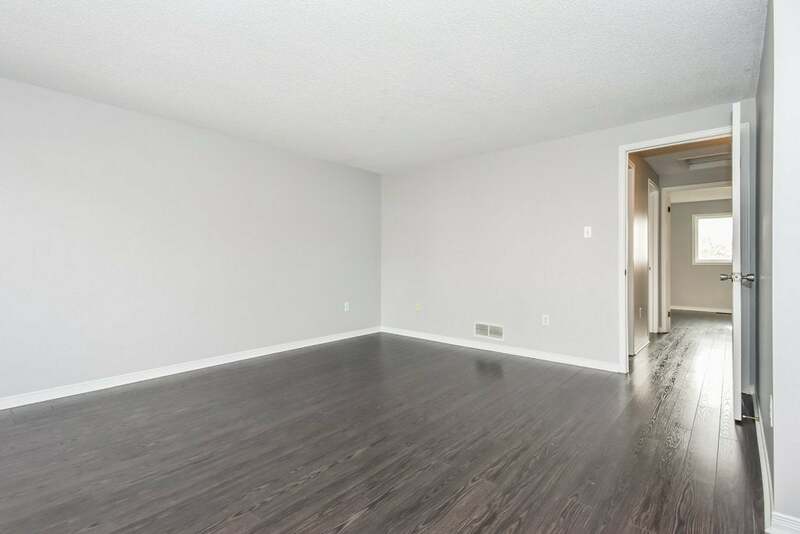 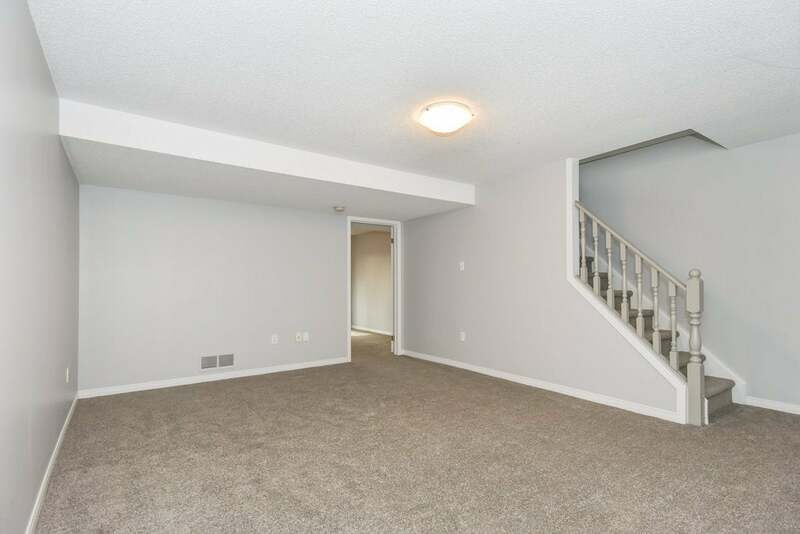 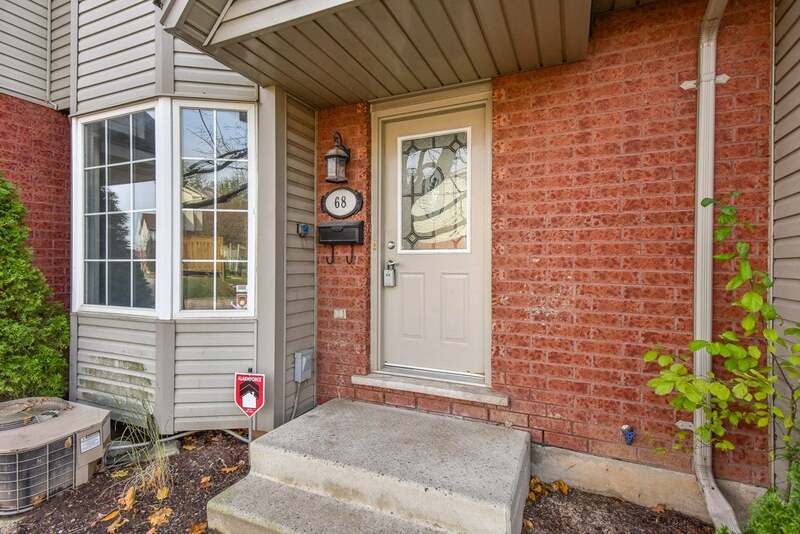 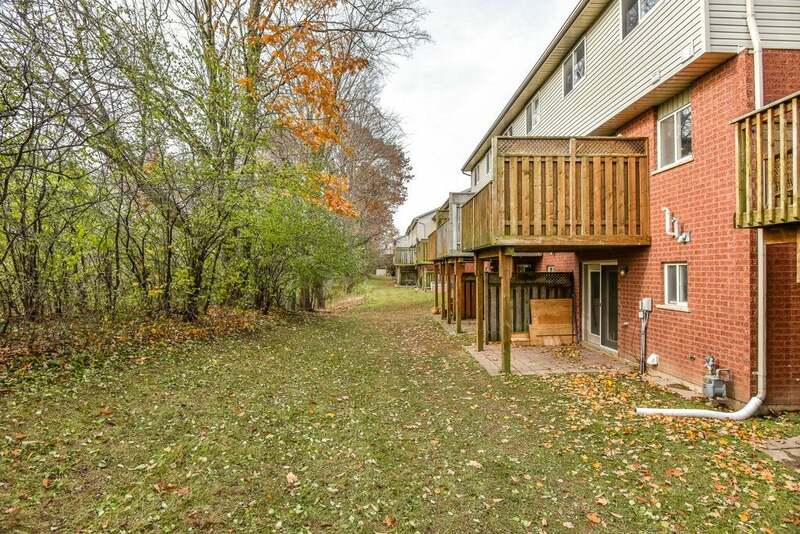 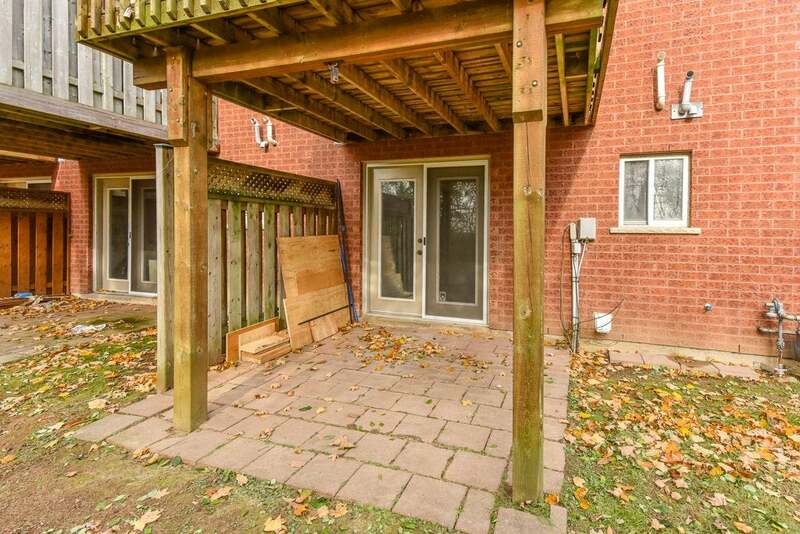 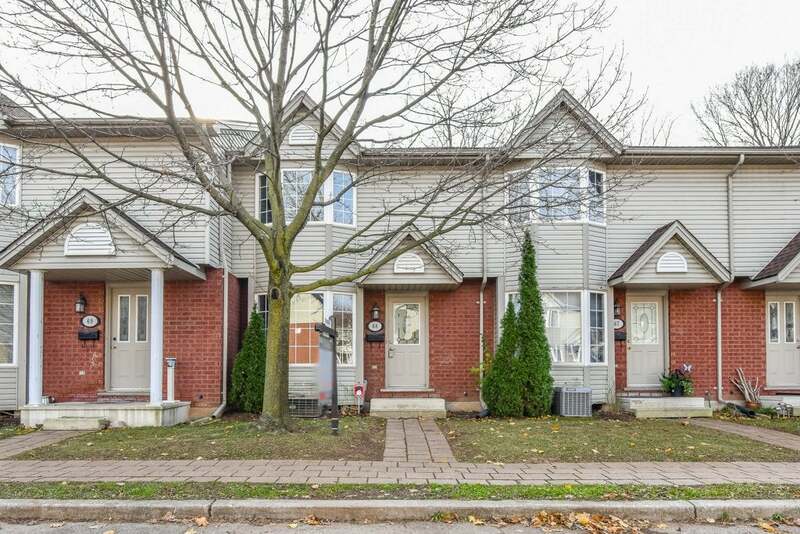 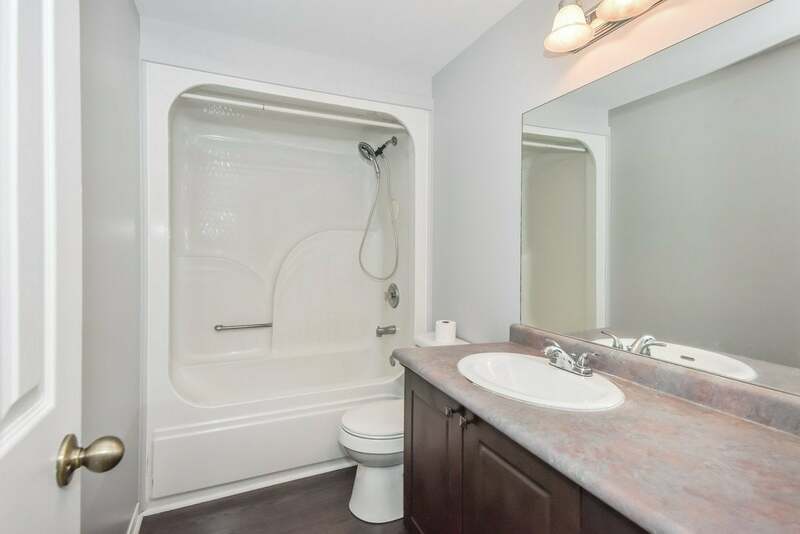 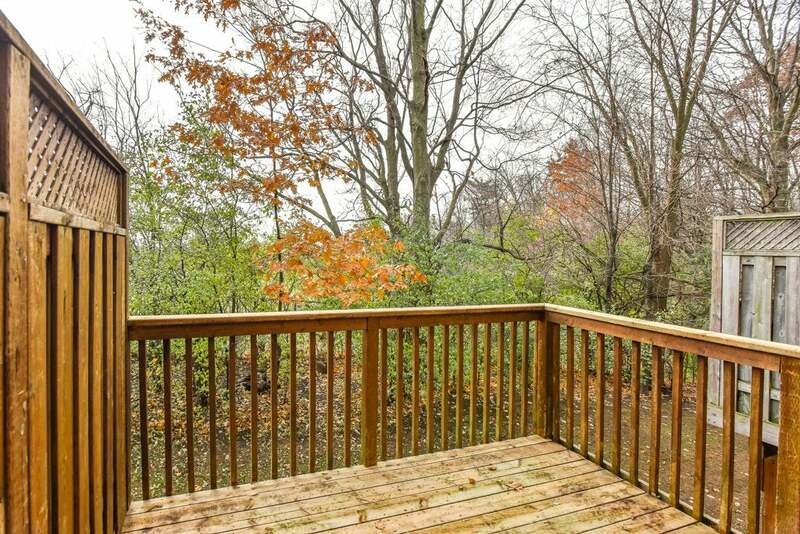 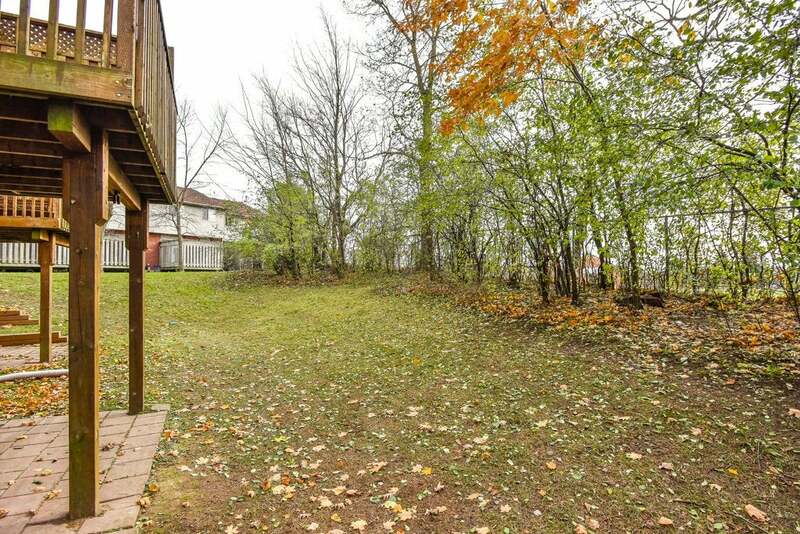 Very well maintained condo that offers maintenance-free urban living backing on to greenspace. 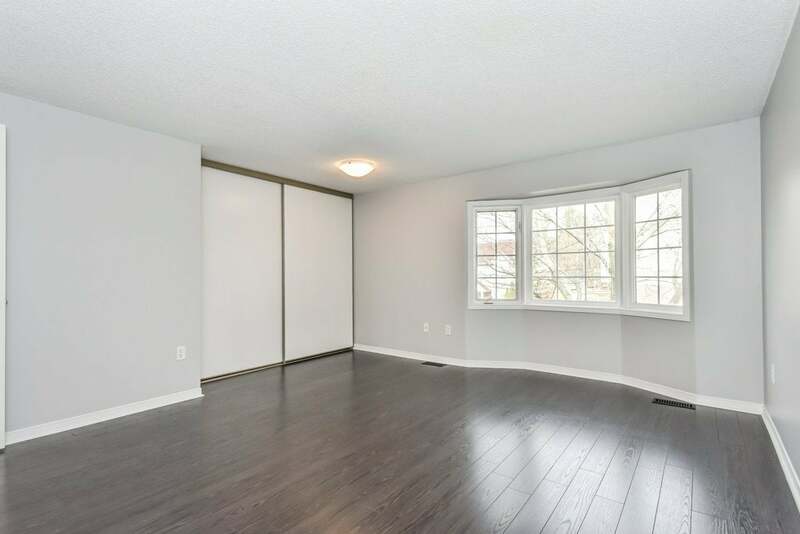 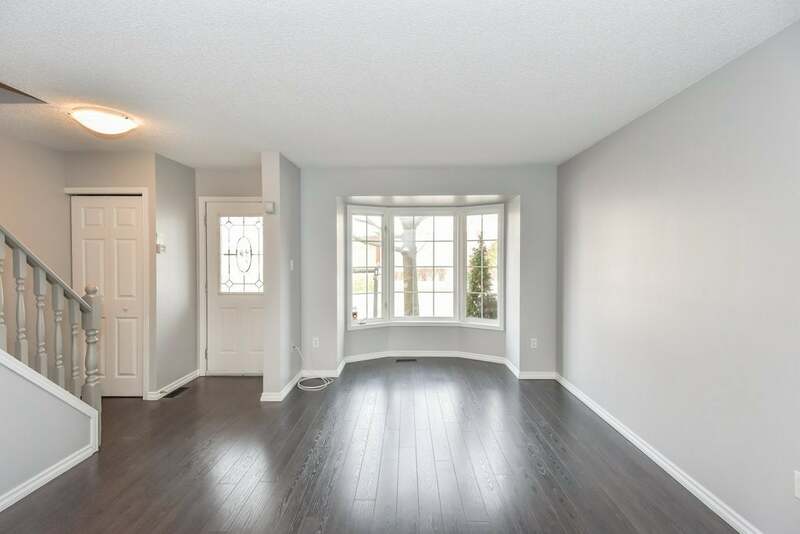 Boasting 1700 sq ft of living space, the main floor offers a spacious living room with bow window, dining area with French doors to a patio, kitchen with ample cabinetry and a powder room. 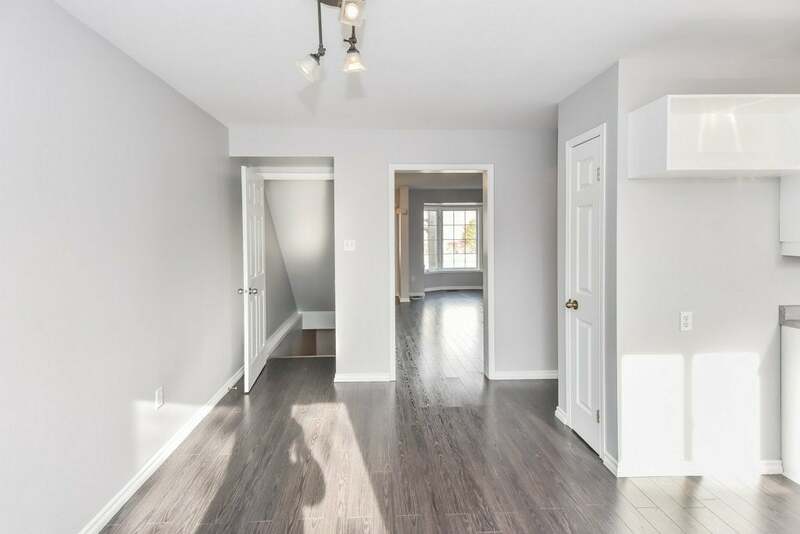 The second floor offers three bedrooms, including a spacious master bedroom, and a four piece bath. 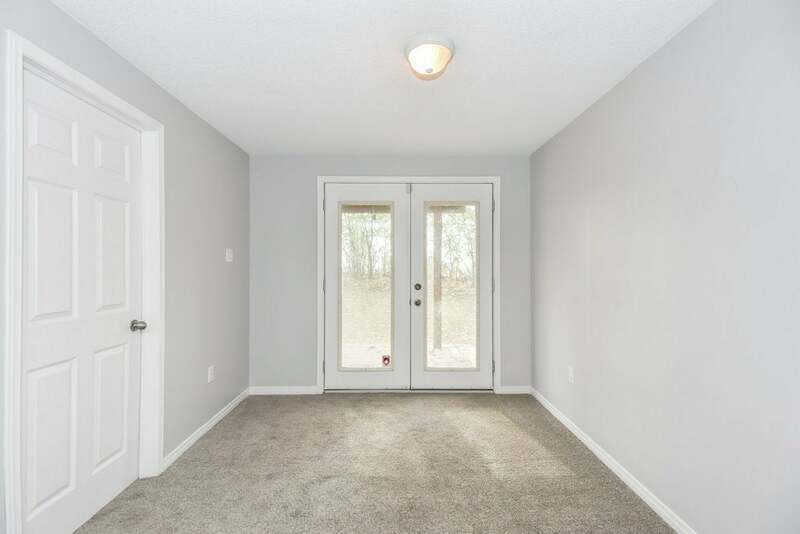 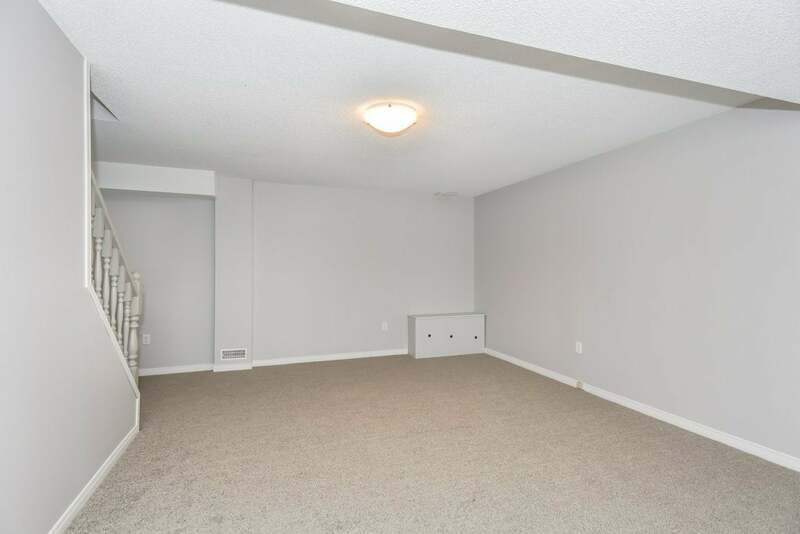 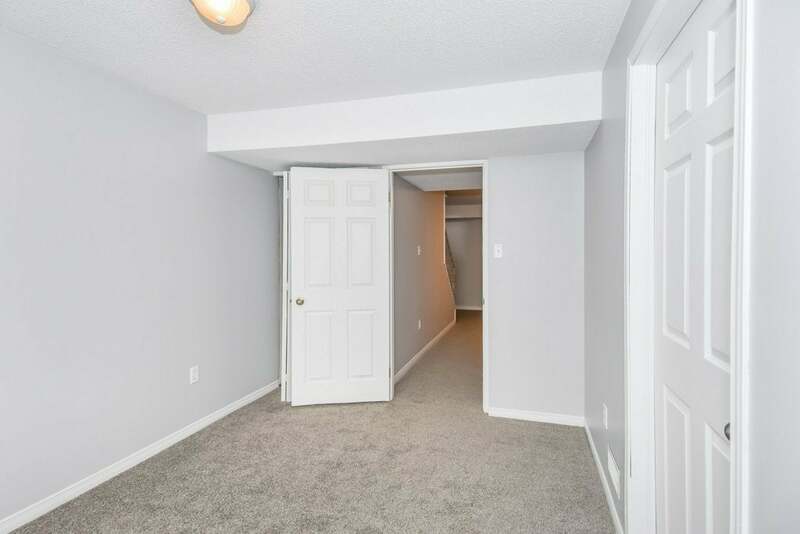 The walk-out basement is finished with a recroom, den or home office with doors out to a patio and laundry / utility area. 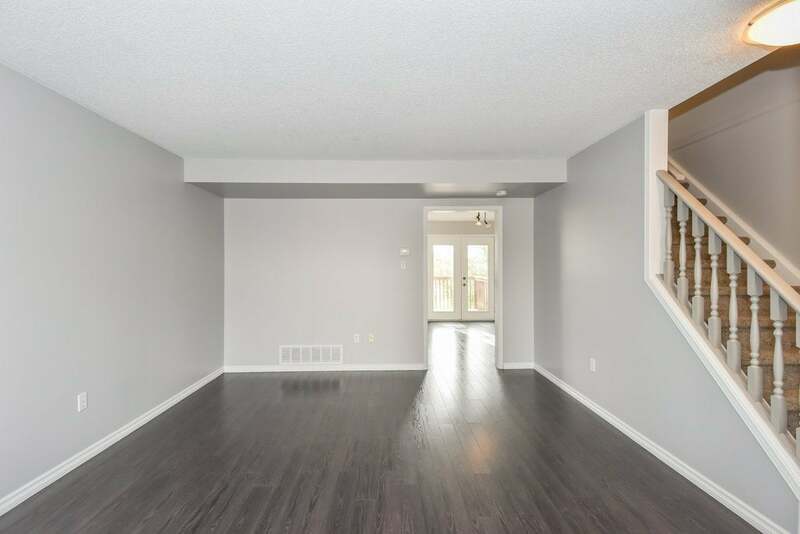 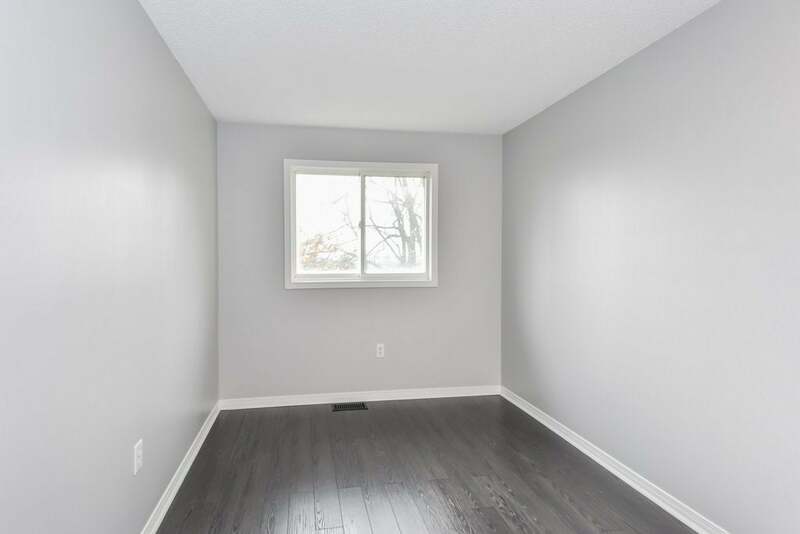 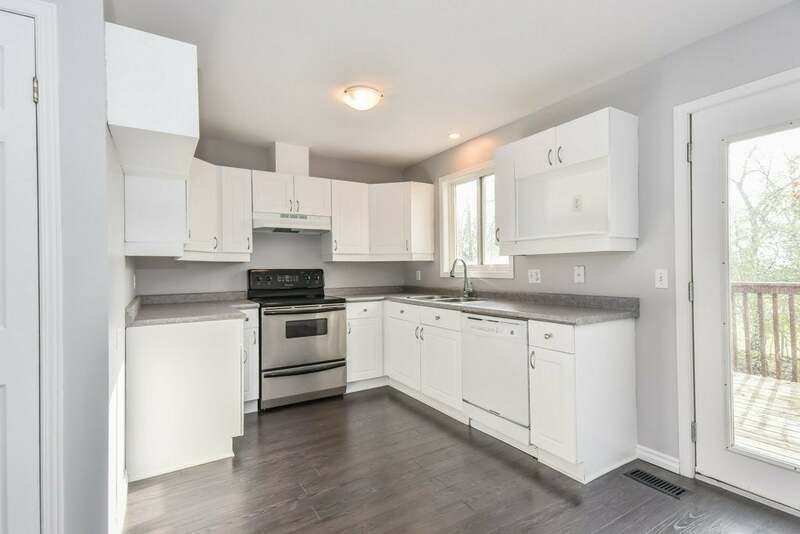 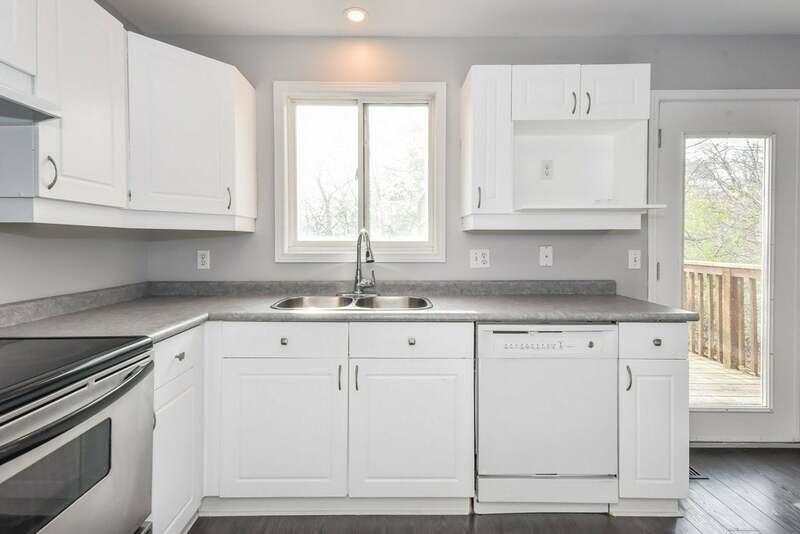 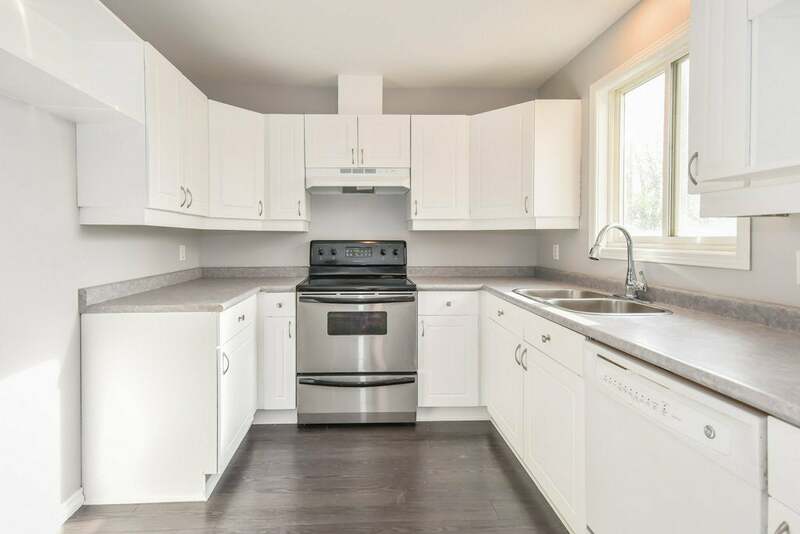 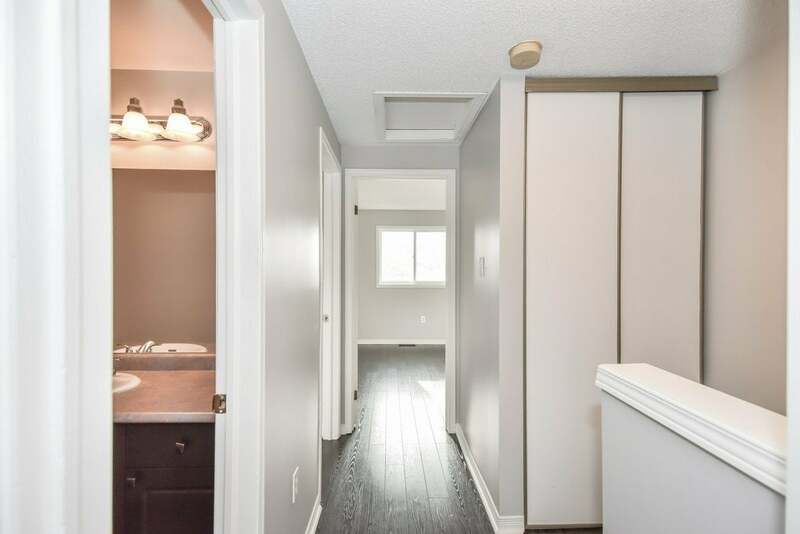 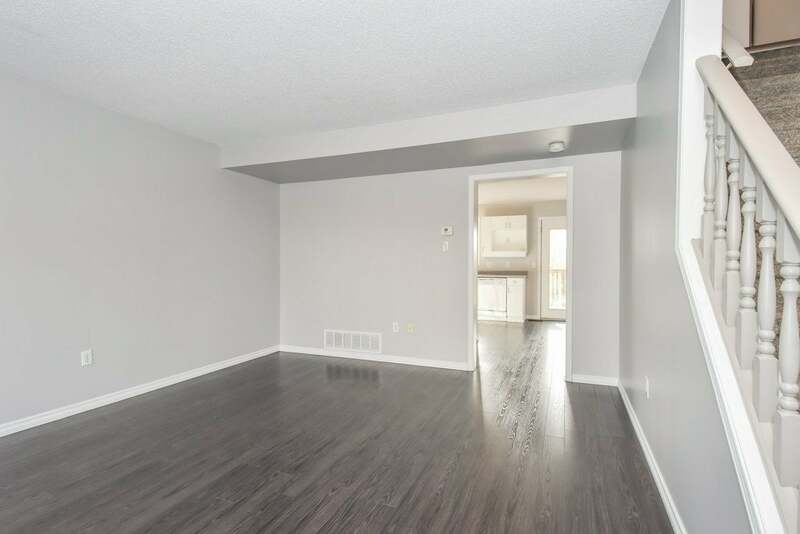 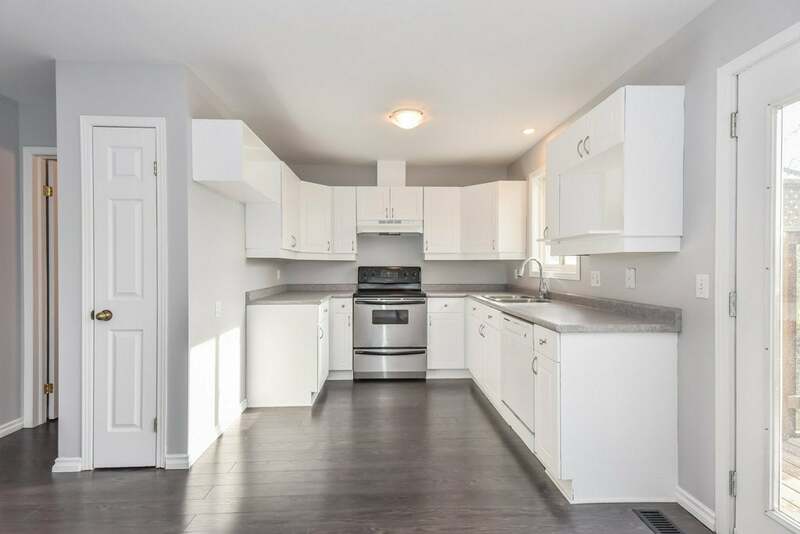 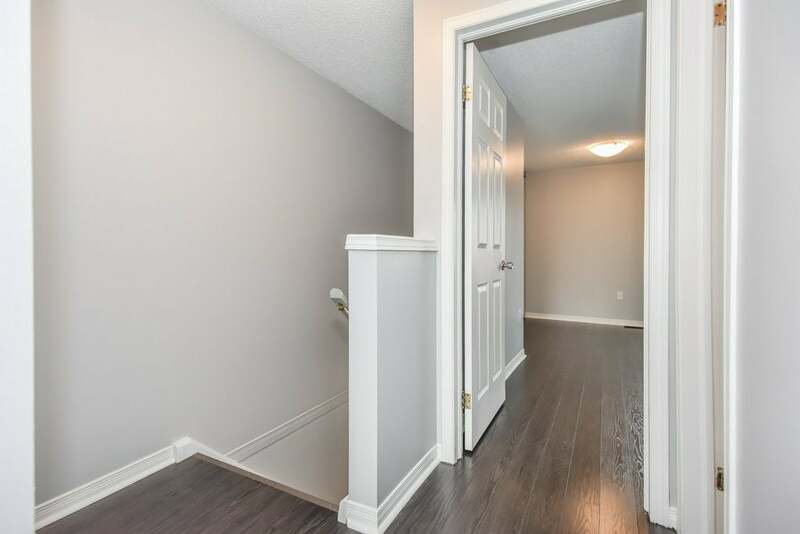 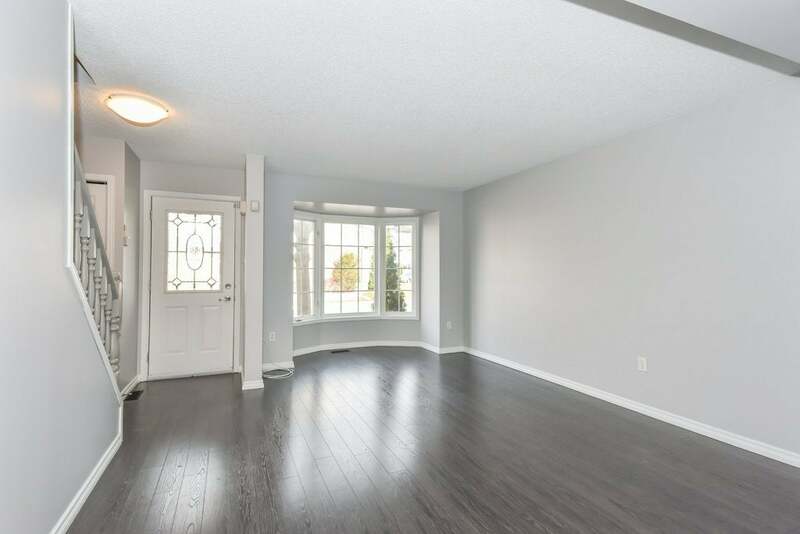 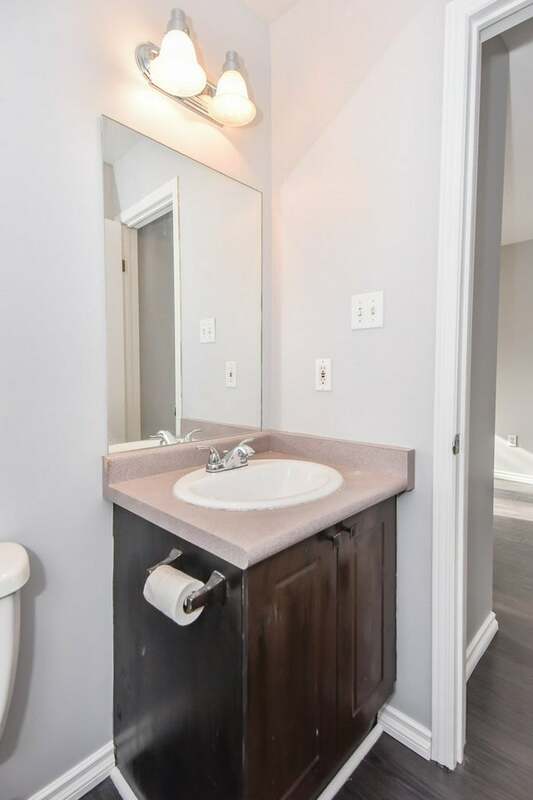 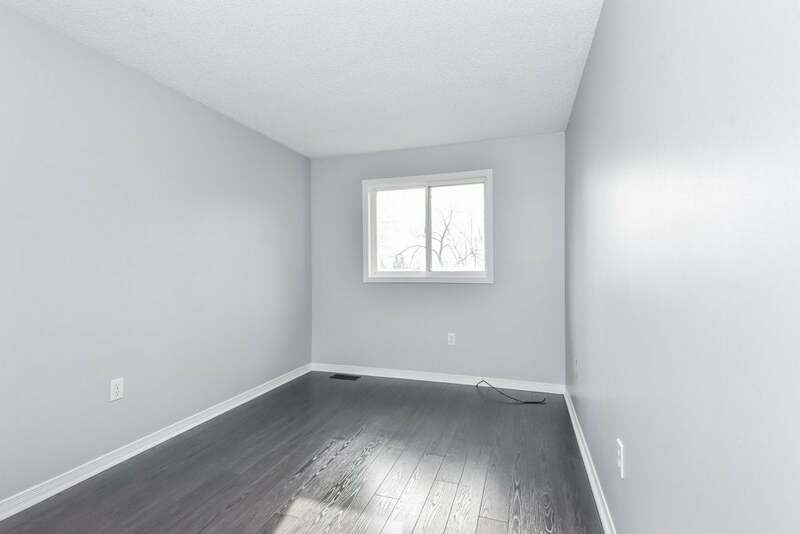 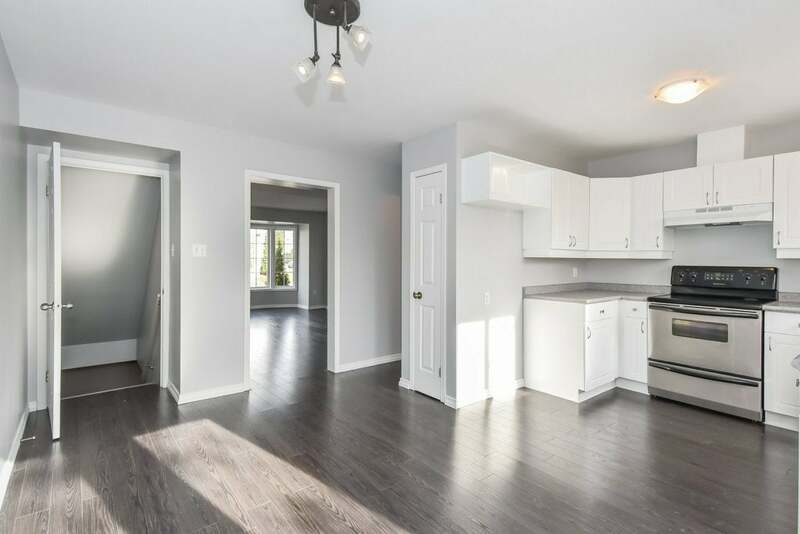 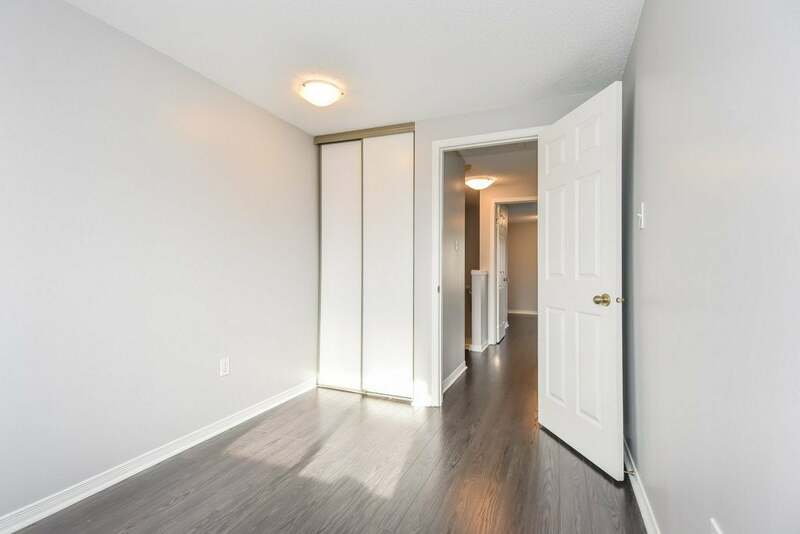 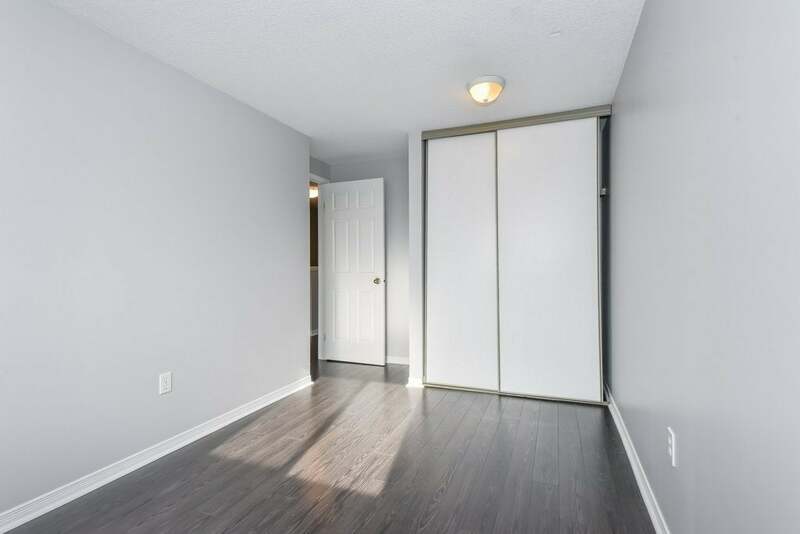 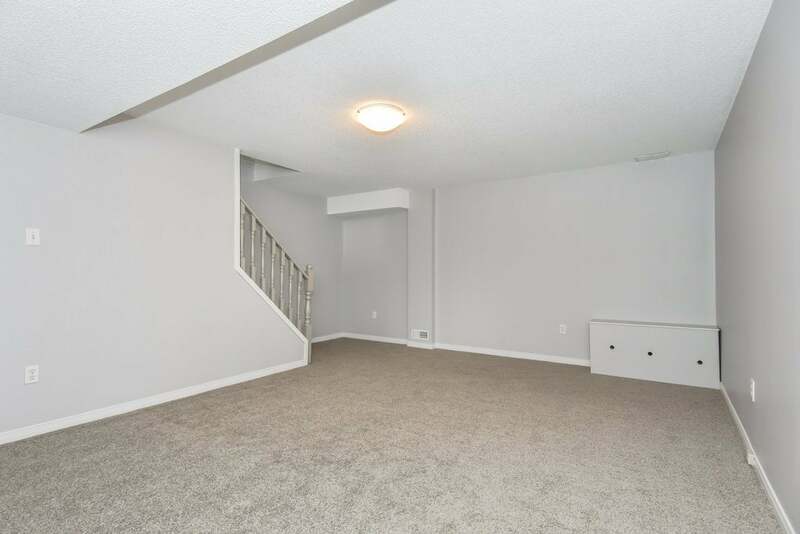 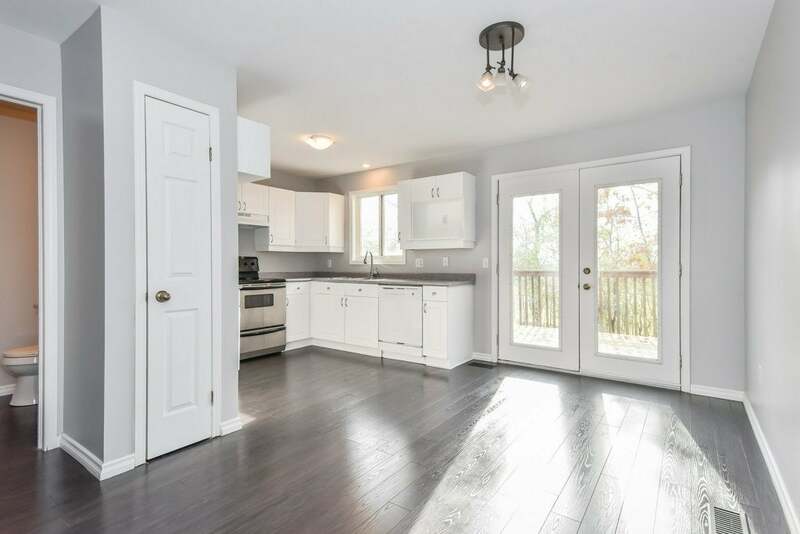 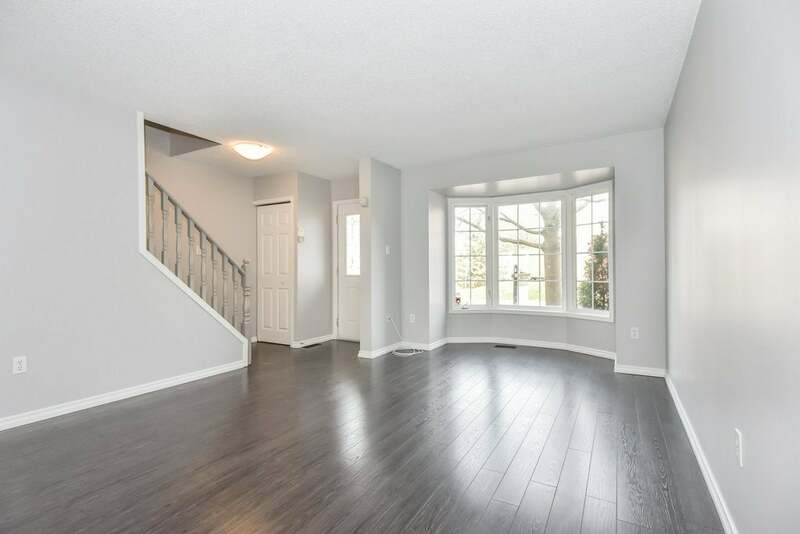 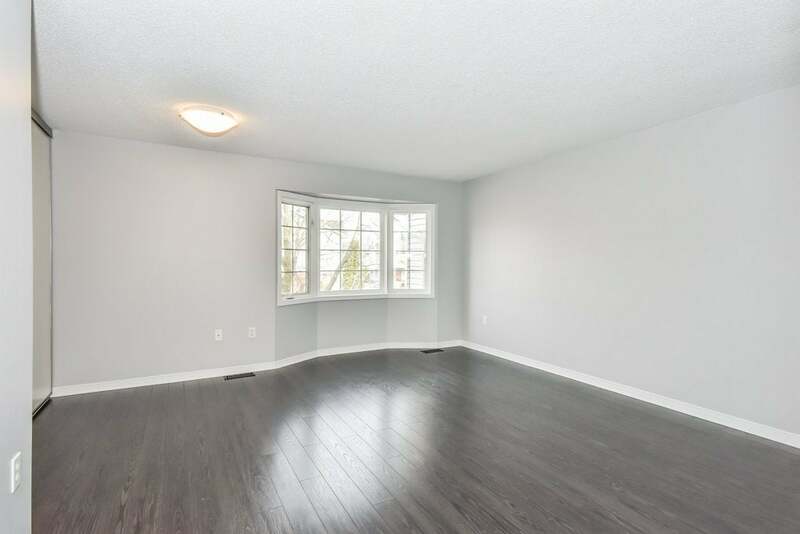 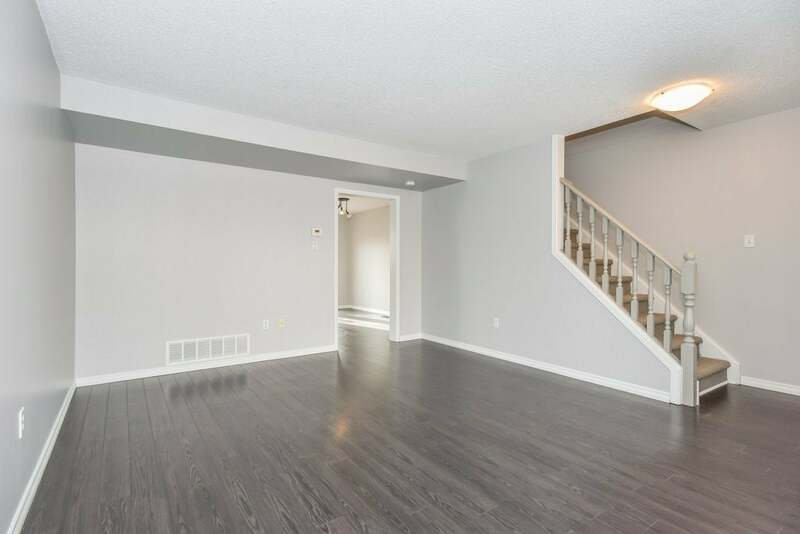 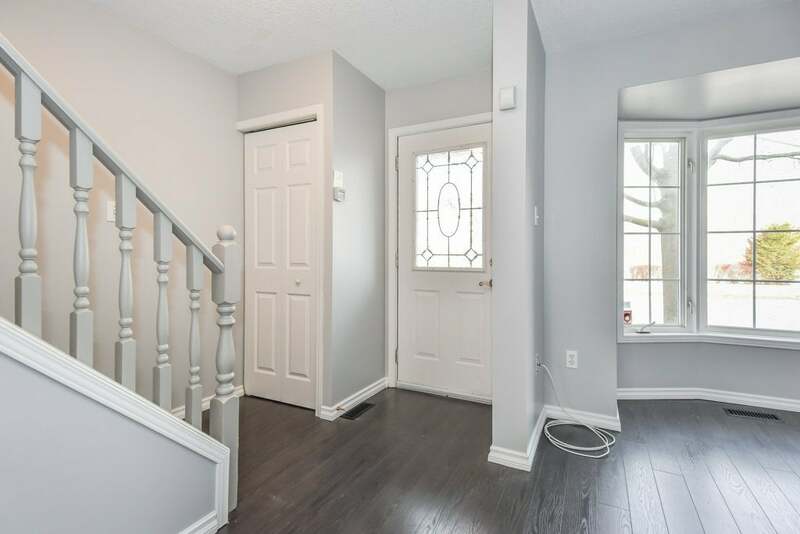 Updates include: new flooring throughout - laminate on the main floor and broadloom in basement and second floor; new toilets (2) and professionally painted. 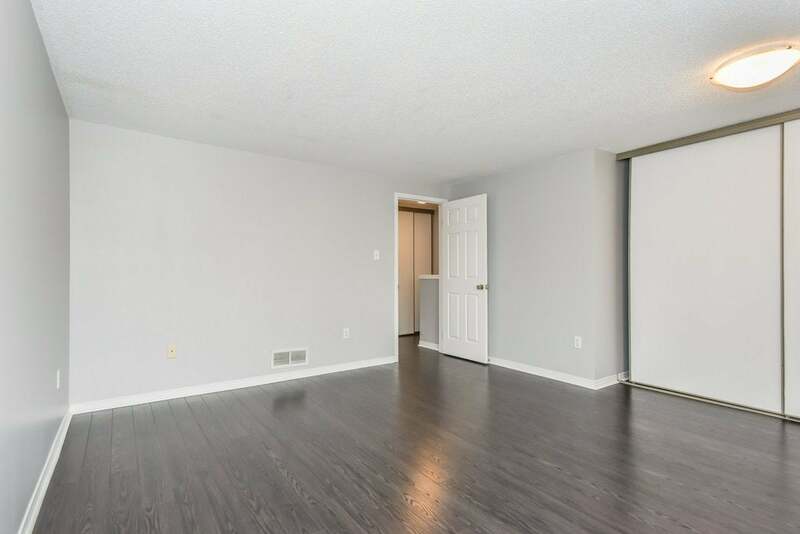 Conveniently located near schools, amenities, public transit and access to the HW 401 just minutes away.